Book design & printing by Alastair Johnson. A limited edition letterpress book. Special hand painted editions available on request. For more information about acquiring a copy of this book, contact Chip Sullivan. 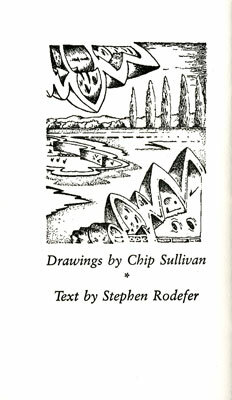 Prose by the American Poet, Steven Rodefer with pen and ink drawings by Chip Sullivan. 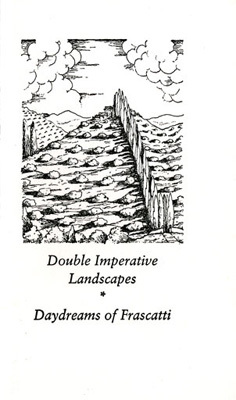 The images were created from Chip Sullivan's Italian travel sketchbooks. To begin this collaboration, Steven Rodefer would respond to the drawings in prose and then Chip would react to the words and image, creating a visionary landscape upon which Steven would then write a new response. These jazz like riffs continued until the text and drawing were completed.